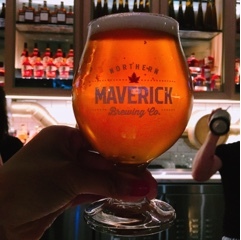 Craft beer lovers, Northern Maverick Brewing Co. is Now Opened! In Ontario’s carefully controlled liquor industry, it’s hard to imagine how one can actually be a maverick and fully become a free-spirited company. One way to inch free of the chains is to open a brewery, where there are still rules and taxes, but creations can be freely shared without the threat of being hidden in the back or requiring expensive listing fees, since the Beer Store is actually owned by three large global beer manufacturers (and not our government). Hence, it’s no surprise that with the rise in popularity of craft beer, there has also been an increase in craft breweries. 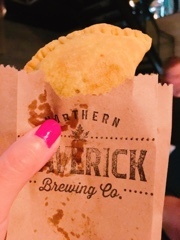 The newest entrant is Northern Maverick Brewing Co. a sprawling 11,000 sq. ft. establishment that includes a restaurant (complete with huge patio), beer store, beer school, and of course brewery. 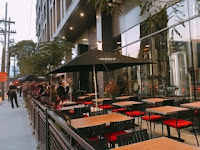 Their menu focuses on Canadian sourced casual eats. 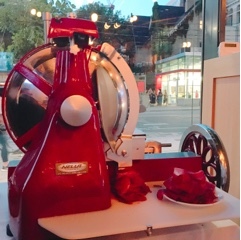 With the gleaming red slicer, their house made charcuterie arrives paper thin, making you want just one more slice. Everything is cured perfectly so it’s not too dry nor overly salty. Although truth be told, the savoury spices didn’t go well with the Vienna lager as it brought out so much of the beer’s bitterness. Sticking with one of their wines may be a better choice. You could really create a nibbling feast for your party by adding a cheeseboard as well. 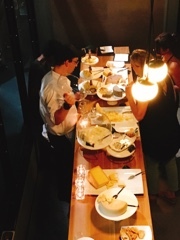 With seven different cheeses available (sourced across Quebec and Ontario), there everything from a gooey brie to a harder cheddar, these go much better with the bubbly beers. In a heartbeat I’d return for another Jamaican oxtail patty ($6), the flaky pastry is filled with tender braised oxtail incorporating habanero heat to have you reaching for a cold drink after finishing it. 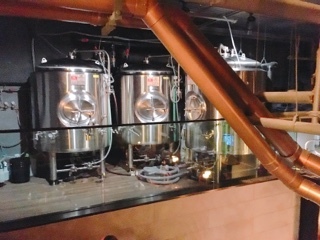 Five seasonal beers are offered on tap; during the opening there was a dry hopped sour, Vienna lager, American pale ale, Indian pale ale, and a hefeweizen. 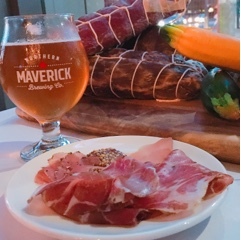 What Northern Maverick strives for is to create aromatic brews that focus on flavour and smell, but is still balanced and delicious. 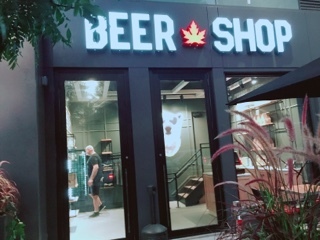 Having sampled a few of the craft beers, my favourite was the Heart of Tartness ($8.50) that contains strong refreshing notes of citrus and fruit – after something heavy, it’s a great way to cleanse the palette. The Gosezilla ($8.50) is also interesting having a lighter tartness but ending with a savoury element thanks to the hint of coriander. 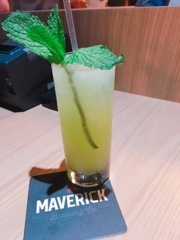 Northern Maverick makes a mean cocktail as well – taking a traditional concoction and giving it a twist. The Travellers Mojito starts with the typical rum, mint, and lime juice, but then adds rose water, cardamom, and honeydew to give it an exotic tropical spin. 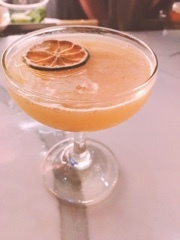 Meanwhile, the Dry Hopped Daiquiri contains plenty of Mount Gay Black Barrel rum, but is mellowed with orange blossom water and a slightly bitter hops syrup. 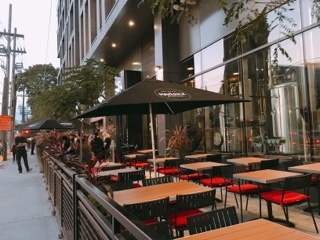 Disclaimer: The above drinks and food were sampled on a complimentary basis at their grand opening event. Rest assured, as noted in my mission statement, I will always provide an honest opinion.